Math Game - "Math Board Game 6th Grade - Expressions and Equations (6.EE)"
This board game is fun for the students as they sharpen their skills and deepen their understanding of expressions and equations. They will draw a card and they must correctly answer the question to move along the game board. One person will be designated as the answer checker. Students stay engaged as they race to the finish space! Click on the link to preview/purchase the game. Math Game - "Math Board Game - Trigonometry - Trigonometric Ratios and Solve Right Triangles"
Would you like a different way for your high school students to review definitions of trig functions and solving right triangles? This board game is fun for the students while they sharpen their skills and deepen their understanding of important concepts. They will draw a card and they must correctly answer the question in order to move along the game board. One person will be designated as the Answer Checker. 1. Right Triangle Definitions of Sine, Cosine and Tangent. 2. Reciprocal Definitions of Secant, Cosecant and Cotangent. 3. Relationship Between Sine and Cosine of Complementary Angles. 4. Use Trigonometric Ratios to Solve Right Triangles. Click the link to preview the game. Math Lesson - "4th Grade Math - Units of Measurement - Customary and Metric (4.MD.1 and 4.MD.2)"
This product will save you time as there are three teacher led lessons on customary and metric measurements. Lessons are introduced with guided notes and/or examples. Students will stay engaged as they fill in missing parts of the notes and examples. A hands-on activity is included to help the students learn the relationships of gallons, quarts, pints and cups. 1. Teacher Led Lesson – The teacher will introduce customary and metric units of measurement involving length, weight, capacity (liquid volume), and time. Students will record the conversion factors, and they will identify the appropriate unit to be used when measuring a certain length, weight or capacity. 2. Capacity or Liquid Volume Activity – Gallon Guy will be used to show the relationships of gallons, quarts, pints and cups. This activity may be done by individuals or by a pair of students. 3. Teacher Led Lesson – Students will be taught how to convert larger measurements to smaller measurements in a single measurement system. Tables, diagrams, patterns and multiplication are used to find the equivalent measurements. Independent practice is included. 4. Teacher Led Lesson – Three guided examples are used to help the students with word problems involving measurements. Eleven independent practice problems are included. 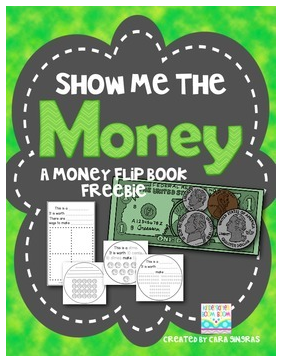 Click on the link to preview/purchase this resource. Have you ever thought about ways to get your students to empathize with each other? I found Wonder by R.J. Palacio. It's a great book about differences, bullying and acceptance. I created this guide to examine the book using close reading techniques. The Common Core demands that students examine text, annotate, question and think. I love using literature to get students to think and question. It's all about going deep. Get to know August and his circle of family and friends. Another great thing about this book is that it is told from different perspectives at different points of the story. Nice way to introduce POV. I hope you love this book as much as I do. I created a guide to a close reading guide for Wonder by RJ Palacio. It's a wonderful book chronicling Auggie's, a young boy born with a facial deformity, journey through school and the adjustments he, his family and his classmates have to make. Close reading will be an integral part of teaching with the Common Core. Students need to know how to be analytic when reading texts and poems. I have outlined the components of authentic literacy and what it looks like in the classroom. I formatted the guide as follows. It begins with an explanation of close reading and how to format a lesson. Then, there is a story summary, themes listed and character descriptions. After that, I created focus questions for each chapter. There are explicit gradual release formatted lessons sprinkled throughout. I included a close reading sheet for each of the explicit lessons. You could use the focus questions to create more close reading lessons using the blank templates or for class discussions. At the end, there is a blank sheet for planning and to use with close reading of different chapters. I hope your students enjoy it as much as my students did. This isn't a bunch of worksheets as I don't teach that way. This is for going deep with the literature! "This was perfect for getting my kids into close reading. Made my world easier! Thanks!!" "This is an awesome book and I am going to use your packet to help with my 7th and 8th grade intervention group." Find my close reading unit on Wonder here! Math Lesson - "4th Grade Math - Decimals and Fractions - CCSS 4.NF.5, 6, 7"
This resource may be used in a variety of ways. 1. The teacher may introduce the concept and lead the lesson. Students will stay engaged as they complete the guided examples. Additional questions are given for checking for understanding and independent practice. 2. The resource may be used for reteaching or intervention. There are four activities in the resource. 1. Students will use visual models to express a fraction with a denominator of 10 as an equivalent fraction with a denominator of 100 and use this skill to add two fractions with denominators of 10 and 100. 2. Write decimals for fractions with denominators of 10 or 100. Write fractions for decimals in tenths or hundredths. 3. Compare decimals using >, =, or <. • Add and subtract fractions and mixed numbers. • Multiply fractions and whole numbers. • Add two fractions with denominators 10 and 100. • Write decimals as fractions. Below are comments from teachers who have used the resource. "This is very comprehensive. You've included all the little "extras" that students need to know. Thanks!" "Terrific like all of her products. This will save you soooo much time and great step by step instructions." Click on the link to preview the resource. Word Wall Activities- Read about a fun and engaging way to help your students learn important math vocabulary. 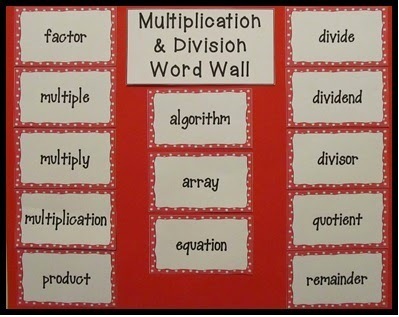 I've shared ideas for how to create a math word wall, as well as, some activities to help your students interact with the words. Follow The Routty Math Teacher link to read "Word Wall Activities" on my blog or click my button. Happy Reading! This is a polynomial matching game that can be used as an end of lesson informal assessment or review. 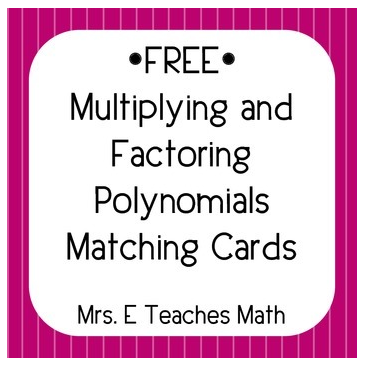 These cards can be used as multiplying polynomials practice or as factoring practice. The matching cards can be used as a basic matching game, old maid (by inserting a blank card), go fish, or memory. Math Lesson - "5th Grade Math - Division with 2-digit Divisors - 5.NBT.6"
This resource may be used to introduce division with 2-digit divisors. The teacher will lead the class as the students fill in missing parts of the problem during guided practice. The resource may be used for remediation of students after they have already been taught how to divide by 2-digit divisors. 1. Detailed Teacher Notes – There are 3 pages of teacher notes with examples and suggestions for the teacher. Free! 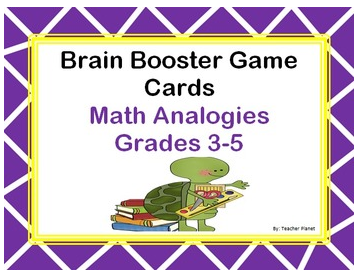 Math Analogies Brain Booster Game Cards are a fun way to practice key math concepts found in The Common Core. This set includes 28 game cards, an answer sheet, and an answer key. Math Lesson - "7th Grade Math 2-Step Equations and Inequalities (Prerequisite for 7.EE.4)"
In this resource students solve 2-step equations and inequalities. They must apply these skills when writing and solving equations and inequalities to represent situations in word problems. The 1st activity contains guided notes and examples on solving equations. Students will stay engaged by filling in missing parts of the examples. The 2nd activity is independent practice on solving two-step equations and equations with distributive property. The 3rd activity contains guided notes and examples on solving and graphing inequalities. The 4th activity contains independent practice on solving and graphing the solutions of inequalities. Students are required to check answers to inequalities. Suggestions for teaching this are included in the Teacher Notes. Examples of checking solutions of inequalities are found in the answer keys. The 5th activity is a group activity on equations and inequalities. Click the link to preview the resource. This is a cooperative learning activity for students to complete after they have covered the passé composé with avoir and être and the imparfait. There are 9 images with a few words to prompt students. A complete set of directions, an answer key, and ideas to go further with the activity is included in the download. SOCIAL STUDIES LESSON - "War of 1812 and Early United States Lesson Plan Collection"
Updated for the 2014-2015 School Year! Sixteen lesson plans are included in this great lesson plan collection that helps students learn more about the events of the War of 1812 and Early United States. This lesson plan collection includes two large webquests, two powerpoints, eleven worksheets, and a writing activity on the War of 1812. Save your time and money by ordering this whole collection together. Misc. Lesson - "Halloween Spider Clipart"
Misc. Lesson - "Crazy Turkey Clipart"